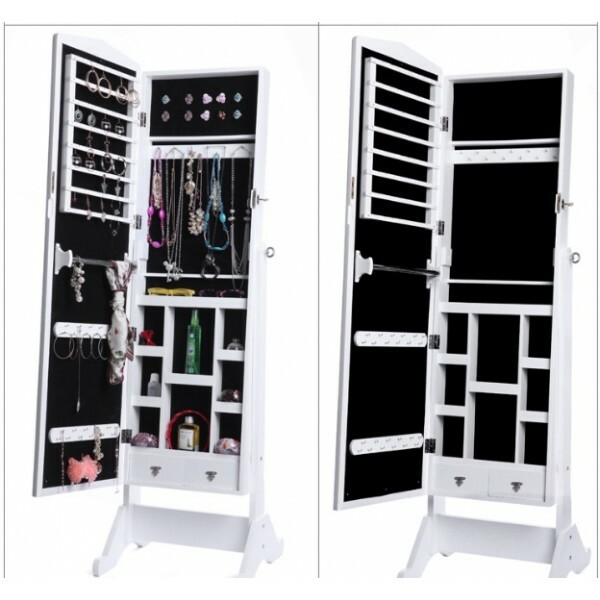 Ultimate Cosmetic N Jewelry Mirrored Cabinet is designed with a slim dressing mirror with 3 adjustable tilting angles. It comes with 2 drawers, earring slots and shelves for rings, necklaces, bracelets, watches and other accessories. It also comes with a key lock. Wood compartments - 8 compartments for ties, sunglasses, glass, cosmetics like perfumes, lipsticks, eye shadows, etc. Available colours - Black, Pink, Walnut and White.